What can be more welcoming than Jolly Old St. Nick during the holidays? 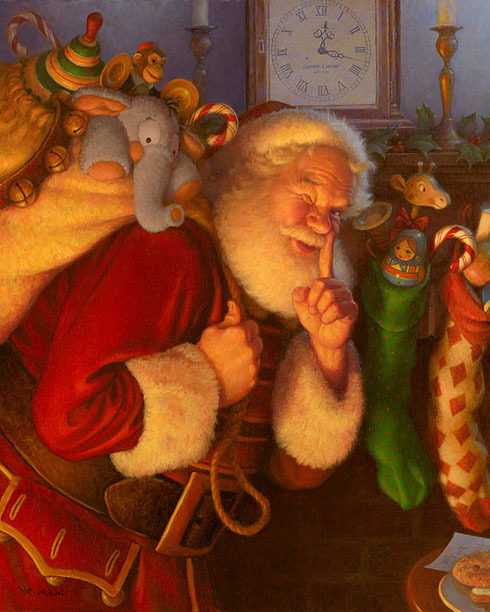 Well, Santa Claus has come to town, and the warmth and joy of the Christmas season is alive in Scott Gustafson’s "St. Nick." This intimate portrait makes us feel as if we’re one of the lucky few who actually encounter Santa as he makes annual run! This Fine Art Limited Edition Giclée Canvas captures all the look and spirit of the original work of art. Perfect for above the mantle or to hang next to the tree, this glorious portrait will make your home sparkle with the magic of the season and feel all the more festive. Deck your wall with "St. Nick!"